The epic two-piece diorama that Beast Kingdom unveiled last year is finally here. 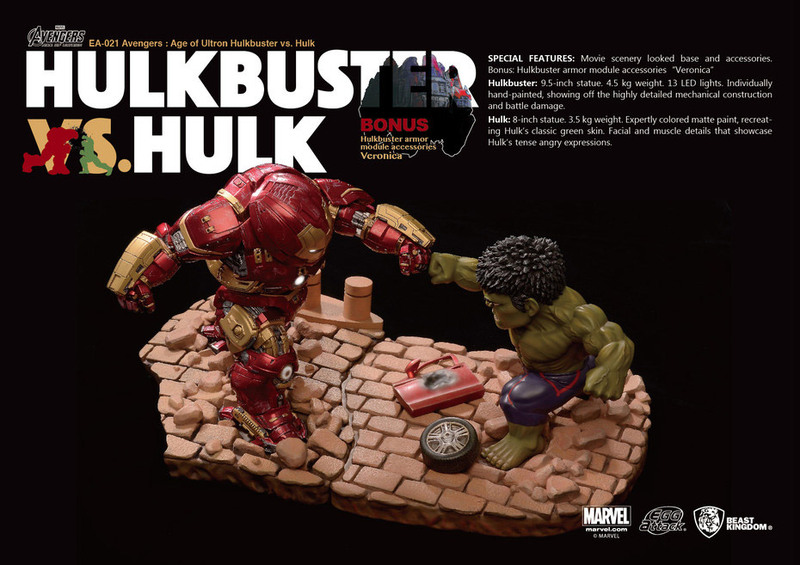 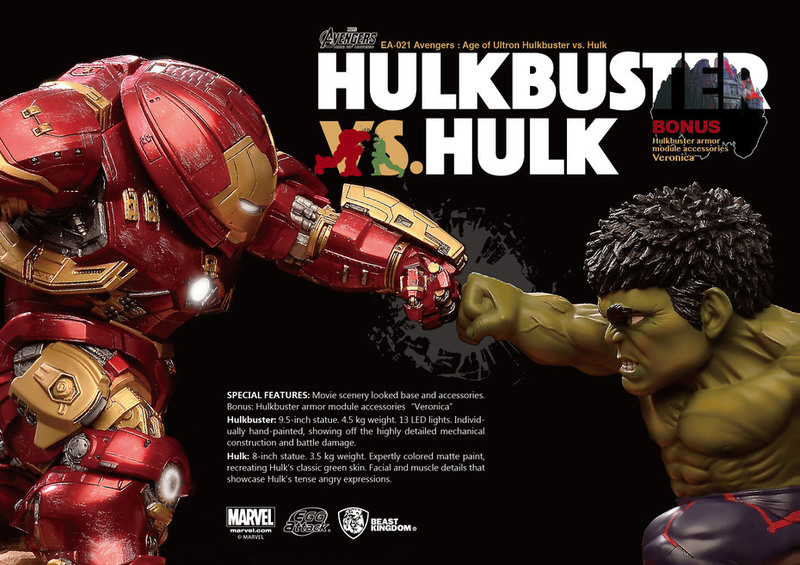 EA-021 Avengers: Age of Ultron Hulkbuster vs. Hulk features the two titans in Egg Attack’s trademark cute but still mean forms. 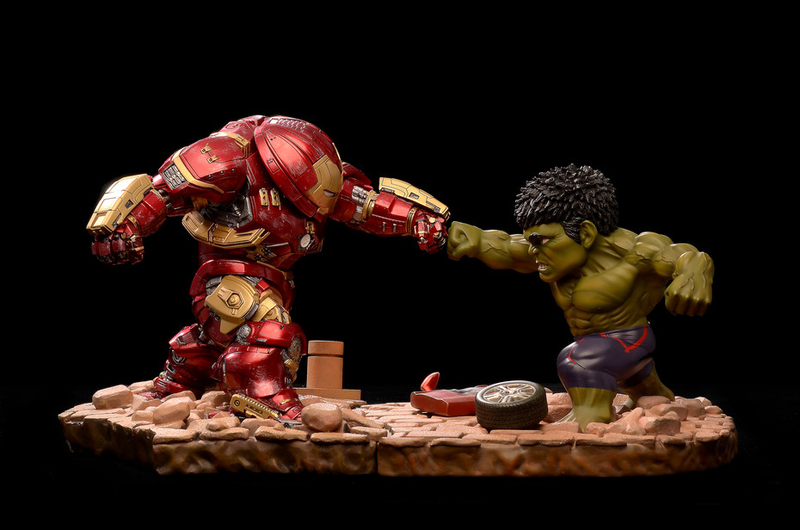 The hand-painted Hulkbuster figure is about 10″ tall and weighs 10lb., while the Jade Giant is 6″ tall and weighs around 8 lb. The Hulkbuster figure also has 13 LEDs and comes with a Veronica accessory. 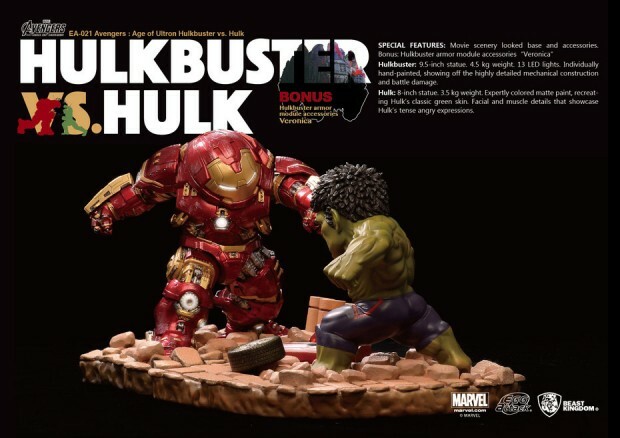 You can order this pack from BigBadToyStore for $450 (USD).